The 4.5 tons Maultier of the Daimler Benz AG worked very well. This is an early model of the Mercedes-Benz L 4500 R Maultier. Later vehicles had the standard driver's cab of the last year of war. 1,486 exemplars of the Mercedes-Benz 4.5 tons Maultier were manufactured. This used looking Mercedes Maultier was a vehicle of the conclusion model. 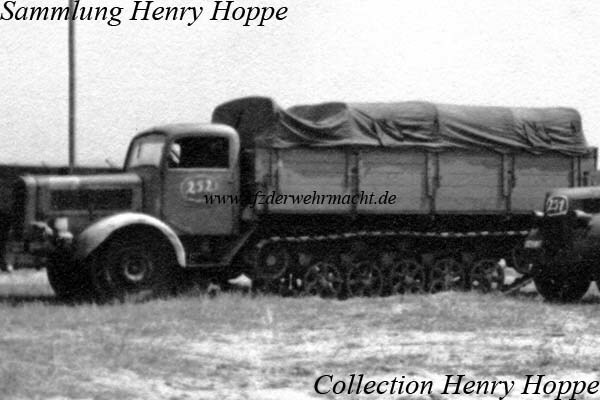 It had the standard driver's cab of the last year of war and the smaller headlights. 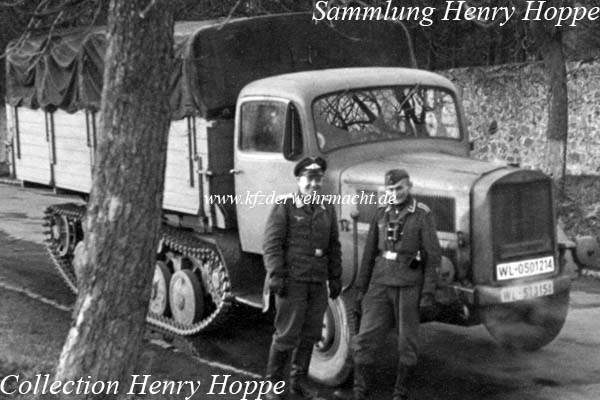 The photo was taken on the Tauern mountain pass road on 12th May 1945. 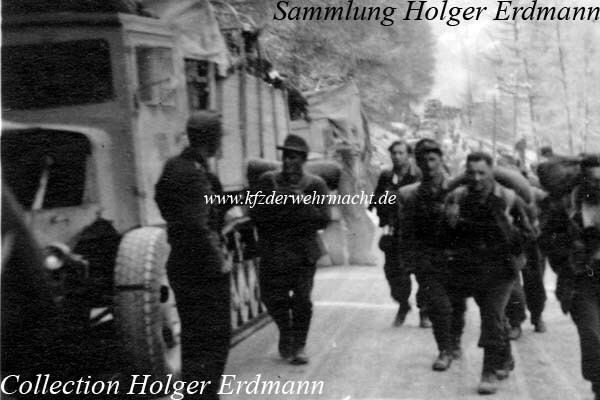 The German soldiers were on their way to war captivity. This Mercedes Maultier was photographed on an Allied collecting point for war materials. The spoke wheels of the running gear are unusual. These wheel type could not be identified on other photos. The Mercedes Maultier was developed and manufactured due to production delay of the s. WS. So it was mainly used as towing vehicle for guns. In this case it was a 8.8 cm Pak 43. 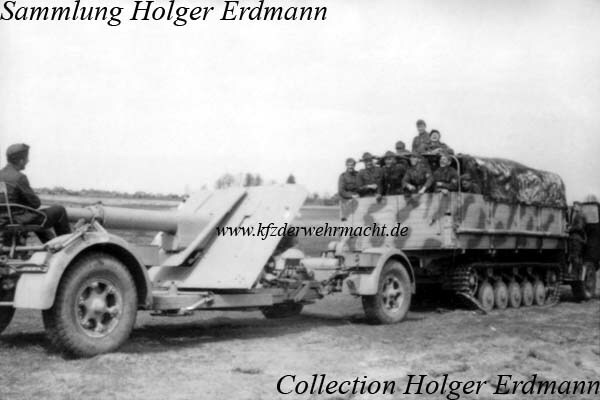 Sometimes the Mercedes Maultier was used as self propelled A.A. guns armed with 3.7cm Flak guns.